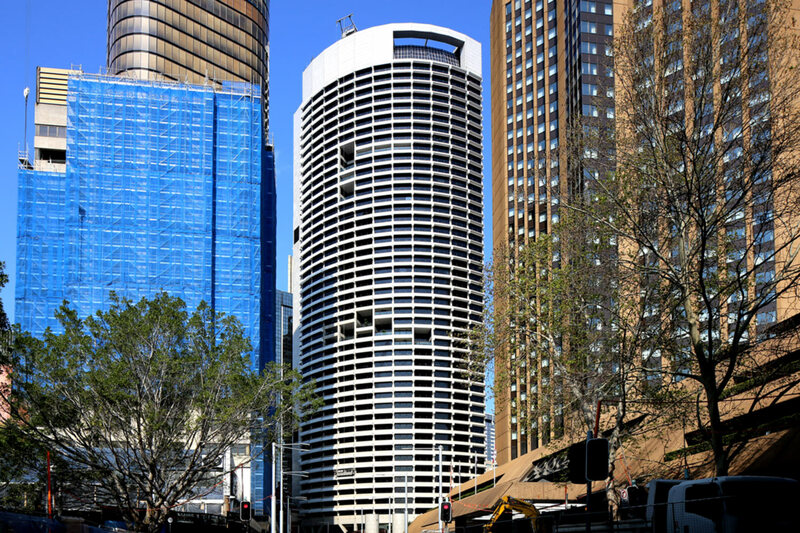 The iconic Grosvenor Place complex is in Sydney’s CBD, bounded by George, Grosvenor, Harrington and Essex Streets. It features a two-storey ground floor entrance lobby and 44 levels of office accommodation providing 80,000 m2 of leasable floor area. The project involved a two stage refurbishment, including remodelling the existing food court and enclosing the lobby. Holmes Fire was engaged to provide fire engineered solutions where the building was unable to comply with the BCA Deemed-to-Satisfy Provisions. These non- compliances were due to the constraints of the existing building, that in some cases were not identified until site works began. The building design incorporated multiple extended travel distances, often through the high space lobby. 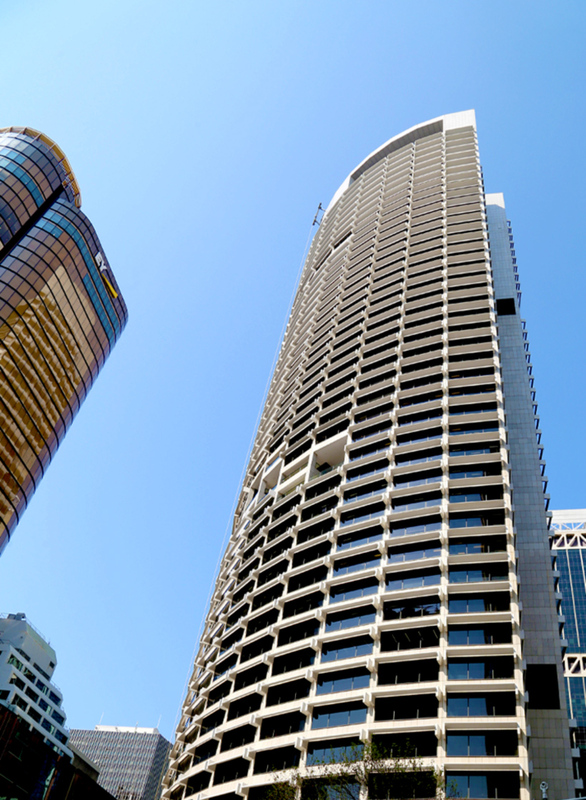 Alternative Solutions were developed to demonstrate that the large smoke reservoirs provided a greater level of safety for egressing occupants than in a Deemed-to-Satisfy compliant building, despite the extended travel distances. As such, Holmes Fire was able to use the existing attributes of the building without requiring additional fire safety measures. Reduced dimensions within the paths of travel from back of house and maintenance areas were justified by the use of signage and the implementation of management procedures that incorporated requirements for confined space access. Solutions were also provided for the non-compliant location of fire hose reels and the deletion of sprinklers from beneath external awnings and areas where it was impractical to provide coverage due to the proposed design and use. A central, architectural element of the building is the circular stairway connecting the lower and upper lobby areas. Our design justified non-compliance with this stairway, allowing the client to maintain the architectural detail of this feature. 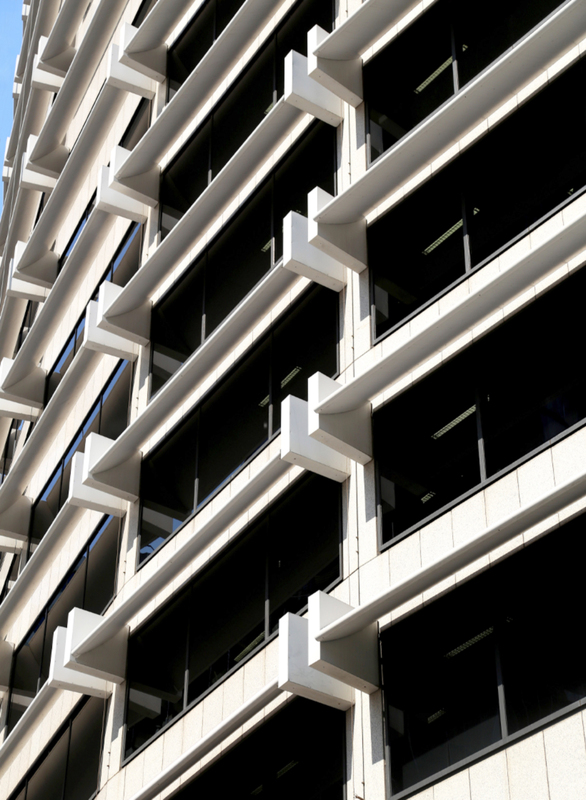 Throughout the project Holmes Fire worked closely with Grosvenor Place management to provide solutions that would be conducive to the day-to-day functionality of the building. The resulting assessment presented acceptable solutions for all stakeholders, reducing construction costs and time for the builder, maintaining original architectural features and providing practical and manageable solutions for the end user. 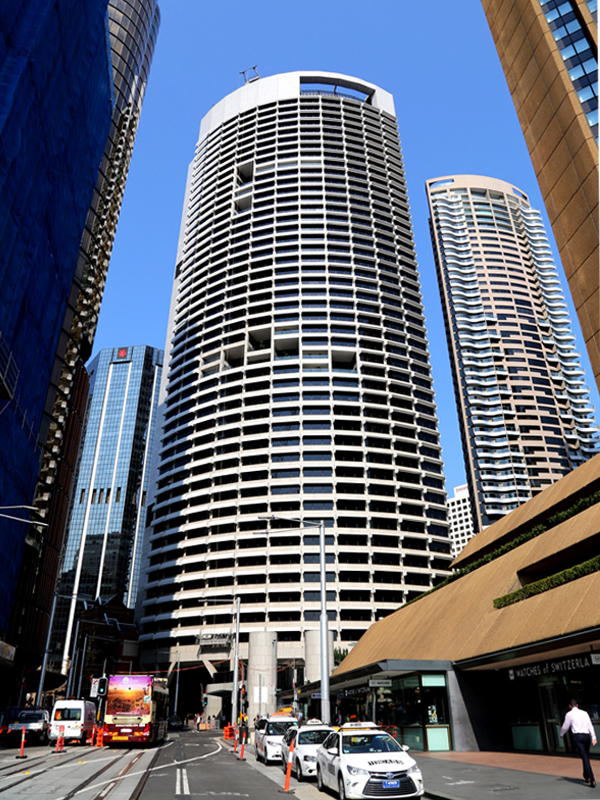 "All of Harry [Seidler]’s buildings integrate art into the architecture,"